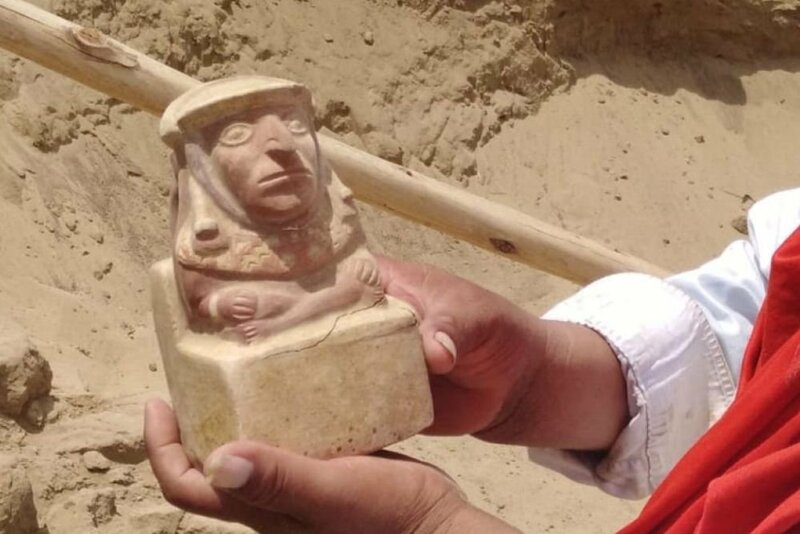 Archaeologists from the museum Tumbas Reales de Sipan during excavations in the north of Peru found three richly decorated graves of representatives of the nobility of the ancient urine culture. According to RPP, the find was made at the archaeological site of El Pueblo de Ucpe, where in 2009 the grave of a high-ranking person was discovered. In December 2018, archaeologists returned there to continue excavation. As a result, they found three tombs erected from adobe bricks of various sizes. They are dated by the average period of urine culture (about 600-700 AD). The burials are located on the territory of the earlier burial complex. The first tomb was damaged by heavy rain, which destroyed part of the complex. Inside it were found the remains of a woman and child. In the burial were ritual objects characteristic of the urine culture, such as copper breastplates and hair bands. In addition, ceramic figurines were found. One of them depicts a snail, the other – a man sitting on a throne, and the third – a love scene. By the way, pottery production was developed in urine culture from the II century and was extremely diverse. The second tomb is a rebuilt earlier burial. The remains of an adult male buried next to a llama were found in it. In the burial chamber there were many ritual objects, including more than 50 earthen vessels. The third tomb had a roof of wooden beams, which eventually decayed. It contained the skull of an adult, the bones of a llama, a luxurious funerary mask, decorations and over 150 vessels. According to scientists, the nature of the graves and the objects found in them indicate that the tombs belonged to people with high social status.